DIY Valentine's Day Candy Bouquet! 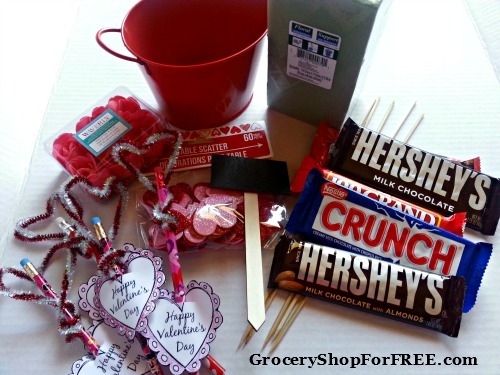 You are here: Home / DIY / Easy Craft Projects / DIY Valentine’s Day Candy Bouquet! 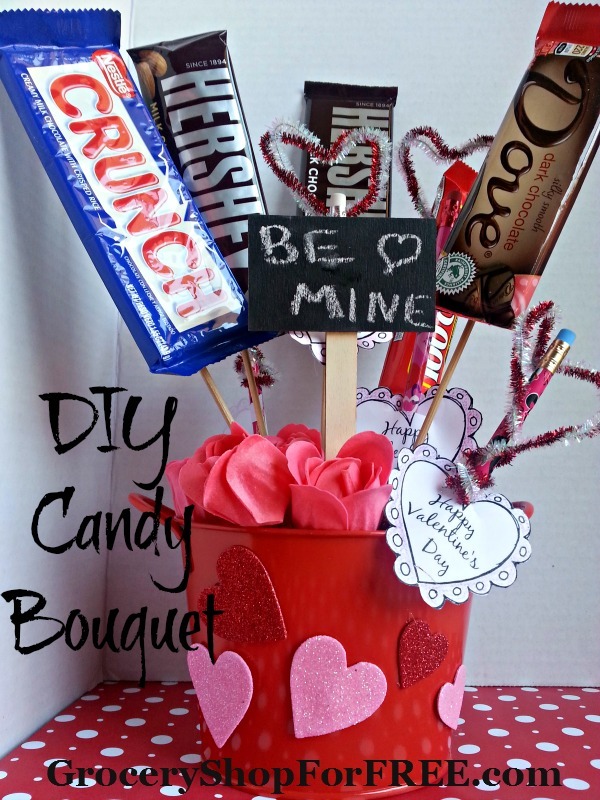 DIY Valentine’s Day Candy Bouquet! When it comes time to give gifts to your coworkers, friends, kids and their school teachers easy DIY gifts are top on our list. Anything we can create ourselves and save a few dollars is going to be preferred over store bought and ready made varieties. This DIY Valentine’s Day Candy Bouquet is a fun craft to make with the kids to be given to those on their gift list this season of love. 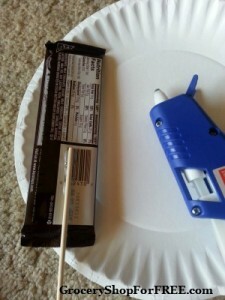 Using hot glue gun attach wooden sticks or skewers to the back of each candy bar or bag of candy. Place at varying heights on the back of candy to make more like a real bouquet. Place embellishments, hearts, flowers on bucket. Put craft foam into bucket and then place candy on sticks into foam in attractive arrangement. Cover top of craft foam with ribbon, faux flowers, shredded paper or other nice decorative item. This is a great craft that can be easily personalized according to the receivers preferences. If your child doesn’t like chocolate but loves fruit flavored and gummy snacks this is a great way to give them a fun and unique gift. The DIY Valentine’s Day Candy Bouquet is inexpensive, fun and a great way to involved your kids in creating gifts for those on their list as well.